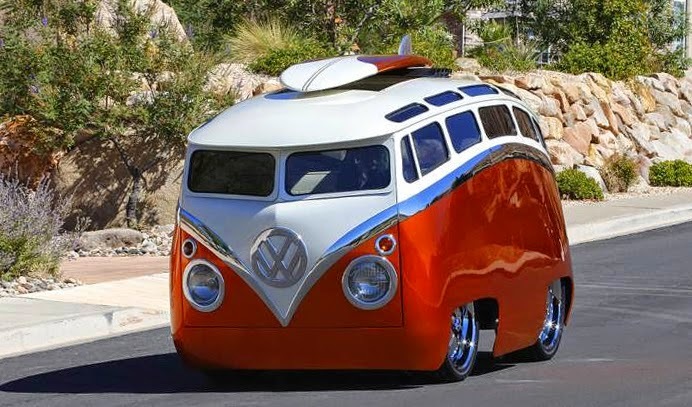 Has emerged, the Volkswagen bus comes in radical styled, it will cause quite a stir for VW Bus Junkies. 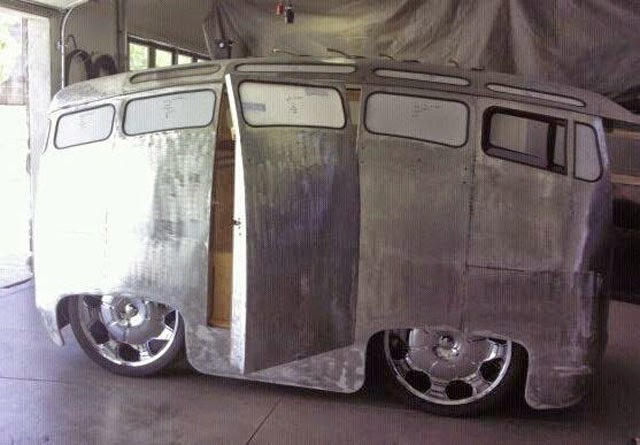 I guess this a VW 23 window samba barndoor bus has extremely modified with highly customized, but its not. Fundamental of the Type 2 its on they body's, a big box like the toast bread nothing there's. 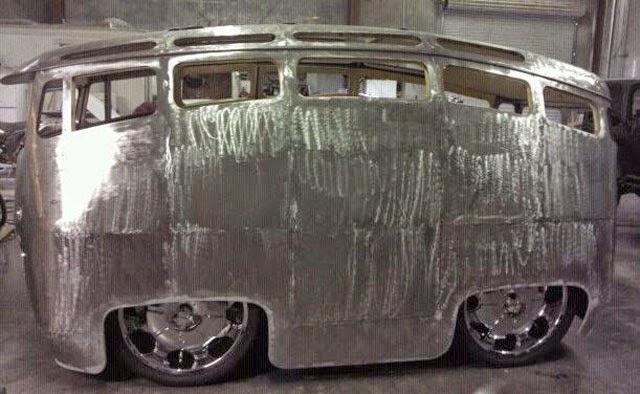 Yes this a work of art inspired by Type 2 known as VW bus, it's a life of freedom icon, then surfer agreed what's that hippies said. 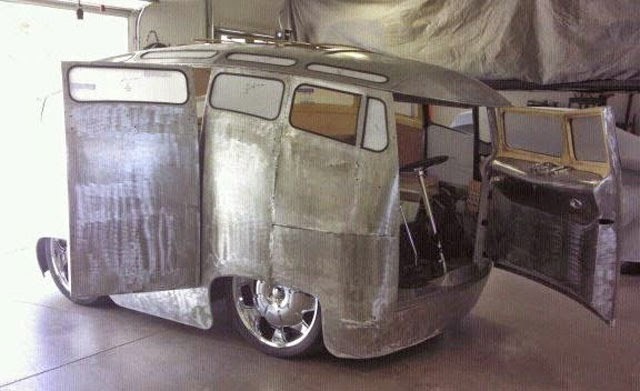 Its only uses suspension bits from a 1965 Type 2, while most of the rest is hand-built from steel applied on its clearly oversized 24-inch rims. 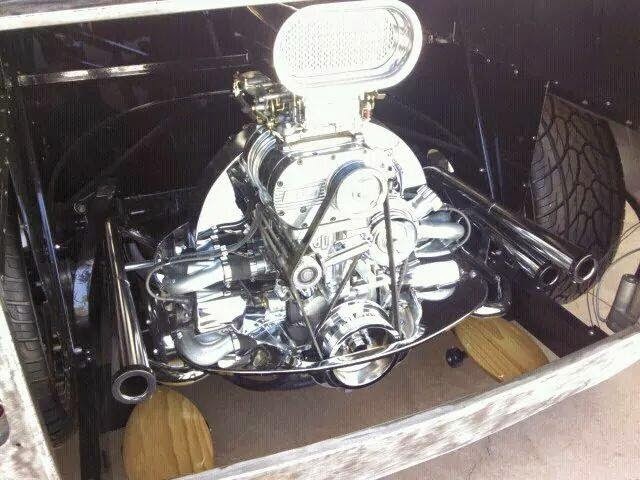 Powered by 2175cc air-cooled flat-four engine had full modified comes with a supercharger produces around 200 hp, it's the shiny engine dominated on the back. 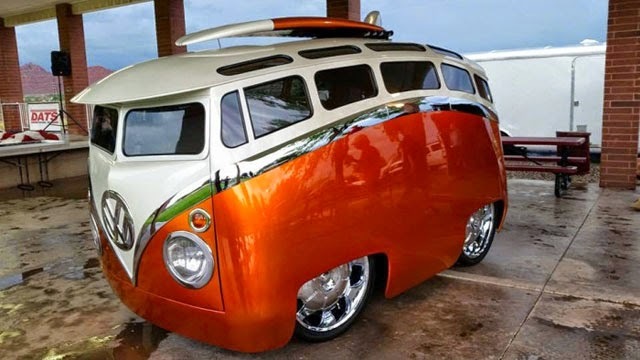 You know what.... it's a real running vehicle called the Surf Seeker, the vehicle is the work of Ron Berry. 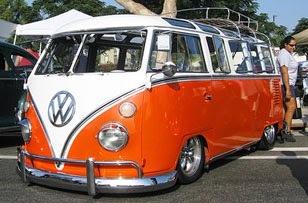 And this a real fantastic VW bus if Ron was agreed to my words above. 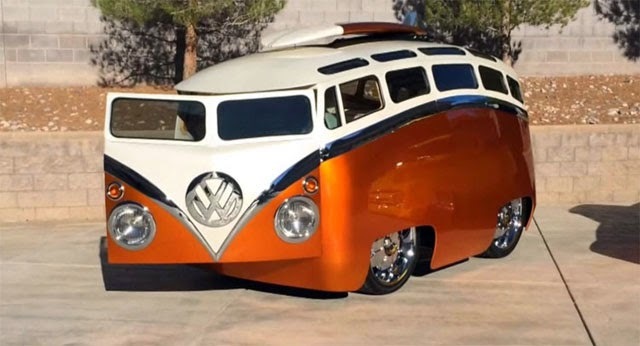 Beautiful reimagined version of the VW bus!